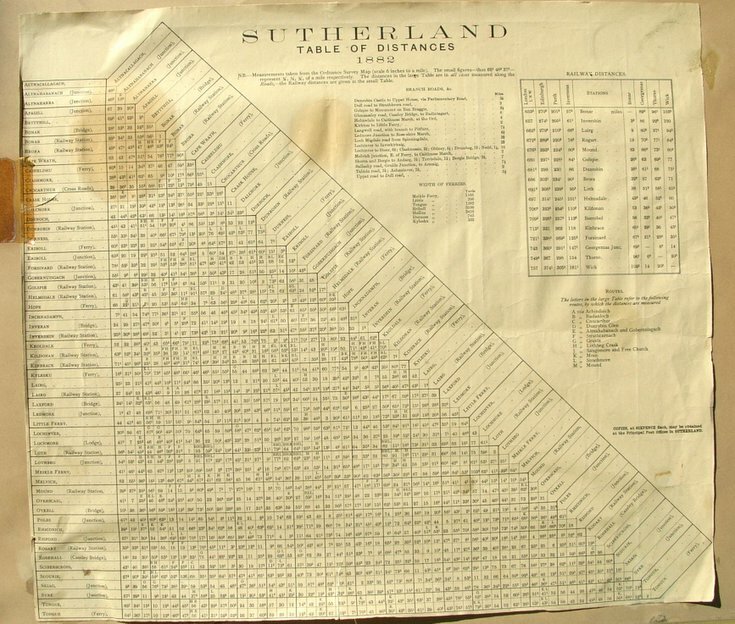 A table mounted on card with heading Sutherland Table of Distances 1882 listing principal road junctions, railway stations and ferries with distance in miles between each other. There is separate table of Railway distances between stations and one of the width of ferry crossings. The distances in the main table are all measured from Ordnance Survey 6" map and are along roads. Table is cut off at the bottom and the source is not known but likely to have been used by Royal Mail. Salvaged from the Sheriff's Clerk's office Dornoch.